Around the world, over 300,000 hospitals lack reliable electricity, so why did SunFarmer decide to launch in Nepal? It’s a good question, and one we are often asked. Many of us know Nepal as a land of stunning peaks, temples and mantras, but when it comes to human development, Nepal ranks 157 out of 187 on the United Nation’s Human Development Index (HDI). The natural beauty, welcoming culture, and deep human development challenges make Nepal a compelling place to work, but there are four key factors (outlined below) that made Nepal ideal for launching SunFarmer’s health-centric solar development model. If you’ve had the chance to visit Nepal, chances are you’ve experienced a blackout or two. They are common occurrences even in urban areas like Kathmandu, where electricity is delivered through the electric grid. 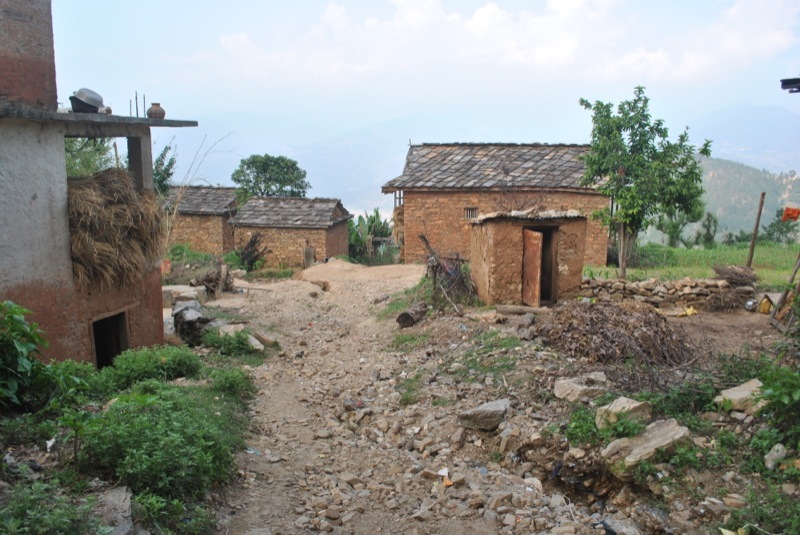 In rural areas, where 85% of Nepalis reside, most communities are not connected to the grid at all. This creates serious challenges for the health clinics and hospitals serving those communities. Imagine delivering a baby by flashlight, or being unable to sterilize medical tools - these are daily realities for off-grid health facilities. These dire circumstances have led many hospitals and health clinics to explore alternative power sources and SunFarmer believes that solar is uniquely suited to the task. Extending the national electric grid to reach isolated rural communities in Nepal is a slow, expensive and unlikely process. While breathtaking, Nepal’s mountainous terrain makes it very difficult to extend critical infrastructure like the electric grid. Solar, on the other hand, can be installed quickly, cost-effectively and provide a reliable source of power. Solar is particularly fitting for Nepal, which is located at a favorable latitude for solar radiation and receives around 300 days of sun per year. The Lungra health clinic, located in remote Achham district in western Nepal, provides a great example of the benefits of solar. The 1.6 kw project took a mere two days to install and is currently delivering enough electricity to power a hand-held ultrasound, LED lights, a computer, microscope and much more. You can get an inside look into the story of the Lungra Health Clinic on our website. If solar is such a great solution, then why isn’t Nepal covered in solar panels already? The answer is a lack of financing. Historically, when health clinics and hospitals have looked to alternative energy sources to power their facilities, many have chosen diesel generators because they have relatively low upfront costs. Solar, on the other hand, has relatively high upfront costs. Financing is key to breaking down those high upfront costs into affordable long-term payments. Solar makes even more sense when you consider that it’s actually more expensive to operate diesel generators than solar panels over the long run, and that diesel generators tend to have considerably shorter lifespans than rooftop solar systems. SunFarmer believes that health clinics in Nepal should be covered in solar panels and that financing is a solvable problem that can be tackled initially by philanthropic dollars and eventually by investors from all over the world. From individual community members to the Nepalese government, SunFarmer works with many local partners who are committed to bringing solar to Nepal. For the Lungra Health Clinic installation, SunFarmer partnered with the community to form a Solar Task Force Committee to ensure that the solar system would be properly maintained after installation. The Alternative Energy Promotion Centre, a government agency dedicated to promoting the advancement of renewable energy, is another key partner. This agency funds quality solar installations for communities with very limited or no grid access, and protects solar customers from poor quality installations and technologies by developing installation standards. In addition, SunFarmer worked closely with solar installation company Gham Power, one of the leading solar power companies in Nepal, to complete procurement and construction of the solar power systems. Last but not least, every rooftop solar project needs a roof and Possible, a nonprofit healthcare company that delivers high-quality, low-cost healthcare to the poor, has multiple health clinics in rural Nepal with very limited or no grid access. The realities in Nepal make it an ideal place for SunFarmer to embark on its mission to light up every hospital in the world. But our work doesn’t stop there. Many countries around the world have similar energy and health care access challenges and our aim is to mitigate those challenges with solar power. If you’d like to read more about the specific projects we’ve worked on in Nepal, please visit our Projects page. 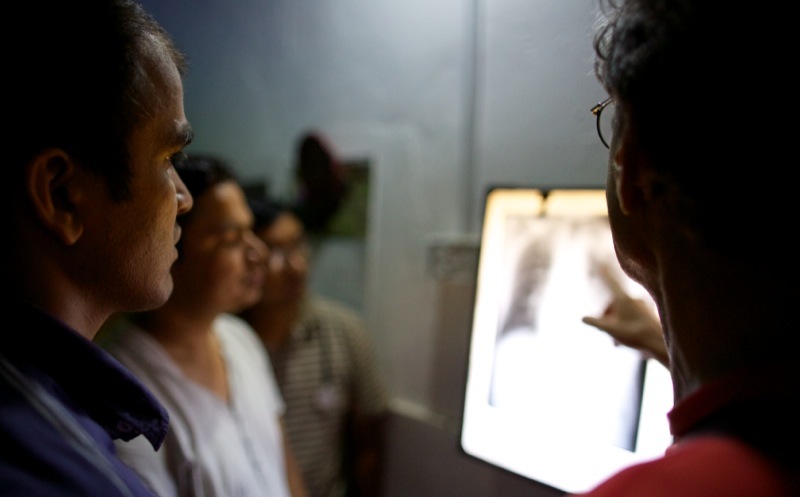 We've installed solar systems at six health clinics in Nepal!